Health-Care Reform After Kennedy: A Scaled-Back Bill? 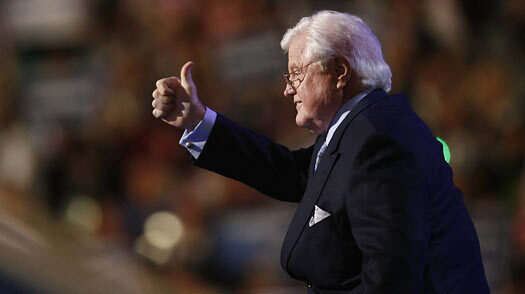 It has not been lost on many that Ted Kennedy’s death came at a moment when the cause he described as the greatest one of his public life  universal health care  seems to be stumbling just short of the goal line. Kennedy’s absence has been felt all year on Capitol Hill, and there are many on both sides who believe that health reform might be closer to becoming a reality if he had been in any shape to bring his negotiating skills to bear. So what effect will his passing have on the prospects for health reform? Will his mourning colleagues suddenly be inspired to put aside their long-standing partisan and ideological differences, to get it done as a tribute to him, with the bill named in his honor, as many have suggested? As shrewd and effective a pol as he was, Kennedy would probably have been the first to tell you not to count on it. When lawmakers cut their deals and cast their votes, it is rarely with another politician’s legacy in mind. If anything, Kennedy’s death has made the prospects for the bill dicier, because it has deprived Senate Democrats of the 60th vote they would need to block a filibuster . Kennedy’s death does seem to have brought about a temporary cease-fire, with at least one group that opposes the bill suspending its television advertising. But when Congress returns to Washington in September, few doubt that the war will resume with even greater force in the wake of an August recess that has seen dozens of town-hall meetings disrupted by raucous protests. Where things go after Labor Day, both sides say, is impossible to predict. Four of the five congressional committees with jurisdiction over health-care reform have passed legislation, and reform advocates have not entirely given up hope that a bipartisan group of six members of the Senate Finance Committee will come up with a bill as well. But support for the entire exercise is dropping in the polls, especially among independents and older Americans. Increasingly, Democrats are talking privately of the need for a big September relaunch. If President Obama and congressional leaders are ultimately forced to go back to the drawing board, their biggest challenge is likely to be the divisions within the Democratic party itself. Centrists are arguing for a bill that would jettison some of the more controversial elements  such as a government-run public option for the uninsured  and reduce the overall price tag. Liberals are saying they will not support a bill without a public option. One possibility being talked about is a slimmed-down piece of legislation that could possibly be passed under special parliamentary rules by a simple majority of 51 Democrats. Theoretically, that would allow President Obama and the Democrats on Capitol Hill to declare victory, and return to finish the job another day. But in practice, a smaller bill would fall far short of covering the estimated 45 million or so uninsured. While that would save the federal Treasury money in the short run, health-care experts warn it would make it impossible to contend with the larger forces that are driving up health-care costs and burdening the economy as a whole. For instance, the uninsured would continue to show up for treatment in the expensive setting of hospital emergency rooms, and those hospitals would continue to shift those costs onto their paying patients. Which of the uninsured would be left out The bill most likely would attempt to cover children who have not received coverage under other federal programs, and possibly their parents. It might also expand the Medicaid program to low-income people who do not currently qualify. But it is hard to imagine a scaled-down bill that would cover, for instance, middle-aged single workers, many of whom suffering chronic health problems, which are a major driver of medical costs. If the Senate decides to pass the bill under parliamentary rules that prevent a filibuster, it may also have to get rid of other provisions that do not directly affect federal spending, such as those that attempt to encourage wellness programs and more preventive care. Another problem with trying to write a scaled-back bill is that so many elements of health reform are interconnected, politically and substantively. Take, for instance, the so-called individual mandate  a requirement that people buy coverage if their employers do not provide it . Making an individual mandate work requires subsidizing people who could not buy insurance on their own, and that is expensive. Cut the subsidies and the mandate back too far, and insurance companies  deprived of the millions of new paying customers promised under broader proposals  could end their support of the deal, which would include new requirements that they sell affordable policies to people with pre-existing conditions. See the most memorable quotes by Senator Kennedy. See TIME’s complete Ted Kennedy coverage.